The police are supposed to be the good guys, the ones you call when you’re in trouble. They shouldn’t be the people you fear the most. Unfortunately, not all police believe that. A few believe the badge gives them privilege that conflict with the rights of citizens. That’s something she is determined to prevent. No matter how much danger that brings her. 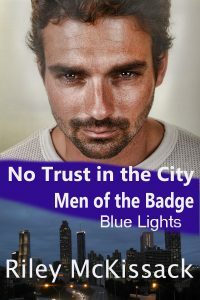 The Blue Lights series is a subset of the Men of the Badge novels. They can be read in any order or as stand alone novels, but the three books in the Blue Lights series are best read in order, because they introduce new characters in the series.